The UK will keep under review its decision not to arm the Ukrainian army in its fight against rebels, the Foreign Secretary announced on Tuesday. 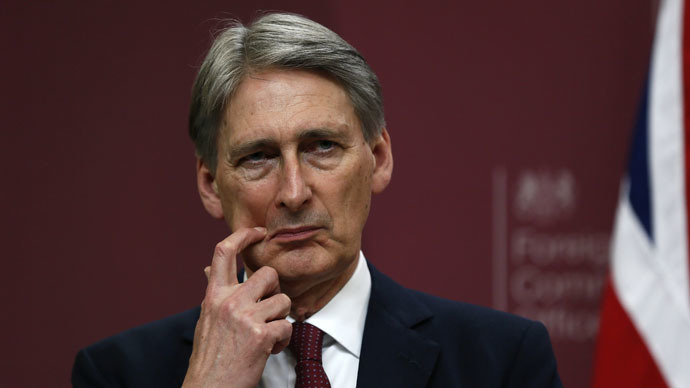 Philip Hammond said the UK could not allow the Ukrainian armed forces to collapse due to a lack of international resources. “We share a clear understanding that while there is no military solution to this conflict we could not allow the Ukrainian armed forces to collapse,” he said. The Foreign Secretary’s comments come as the leaders of Ukraine, Russia, France and Germany prepare to hold peace talks in Minsk on Wednesday, with the aim of ending months of fighting in the region. Russia denies providing military assistance to separatist rebels currently fighting Ukrainian troops. Speaking to the House of Commons, Hammond said all members of NATO had the right to make different decisions. Following talks with German Chancellor Angela Merkel in Washington on Monday, President Obama said the US would be looking “at all options” to resolve the crisis, which could include providing weapons to Ukraine. The Conservative MP claimed all previous assurances given by President Putin had “turned out to be utterly worthless,” adding the Ukrainians needed a greater military capability. “Either we allow Ukraine to be dismembered by a very aggressive Russian neighbor, or we give the Ukrainians some ability to stand up to the sort of weapons that are being used against them,” he said. “That really means giving them drones … an anti-tank capability and encrypted communications,” he added. When asked whether he thought a peaceful solution could be reached during the talks at Minsk, he said any solution reached must be “credible, sustainable and viable” or it would not benefit the Ukrainians.